The materials used are top grain vegetable tanned leather. You can notice the quality of the leather at once with the smell and the touch of it! 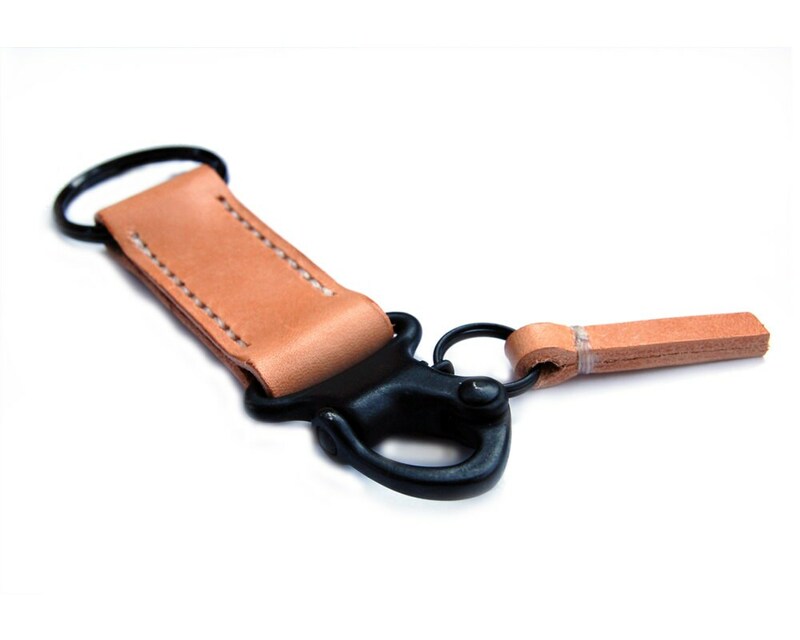 The hook is USA made Snap Shackle with quick release leather tag. 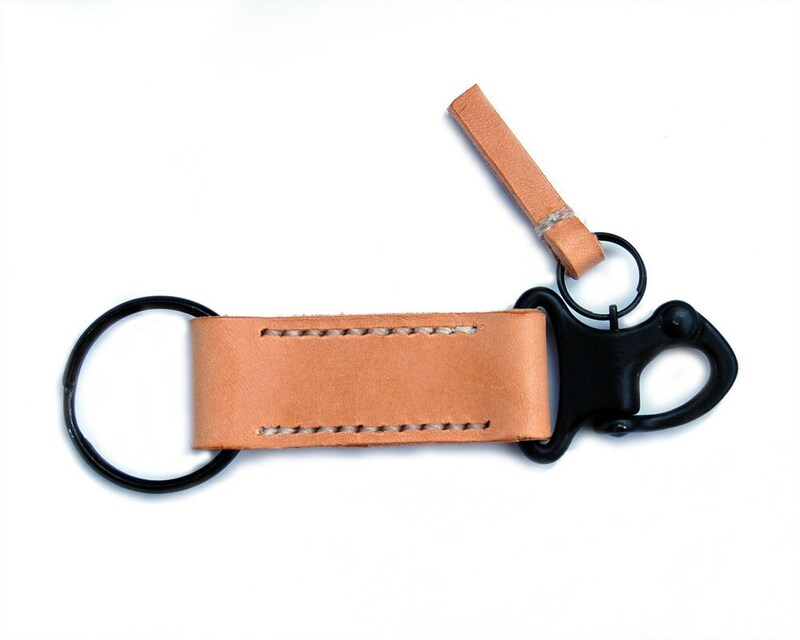 The latch will not release until the leather tag is pulled. The latch can be re-secured without the pull of the tag. Excellent quality, super happy with purchase. 100% recommended! This was my second year anniversary present to my husband. It was perfect and he loved it. I'm surprise on how fast the product was made and delivered! I'd definitely make this purchase again! 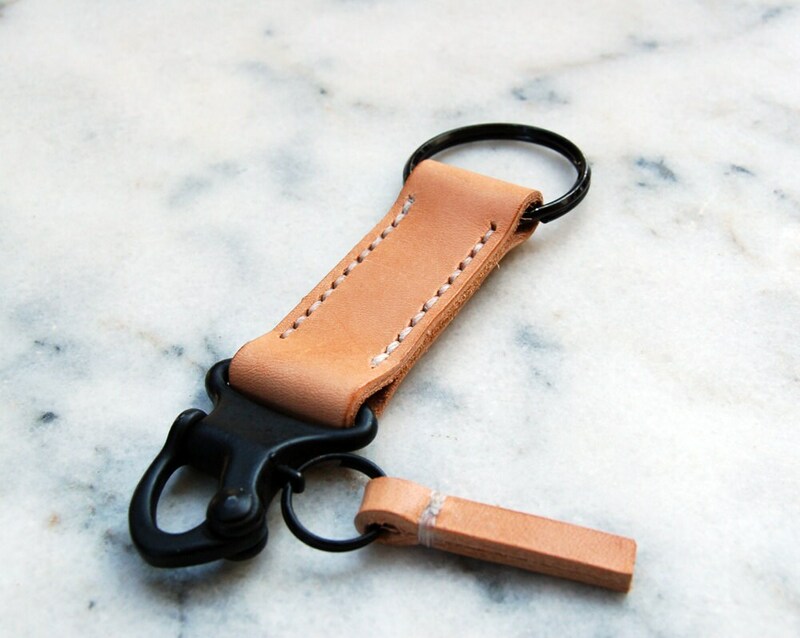 Ordered a custom version of this item - all black with a longer leather strip - and it's fantastic. 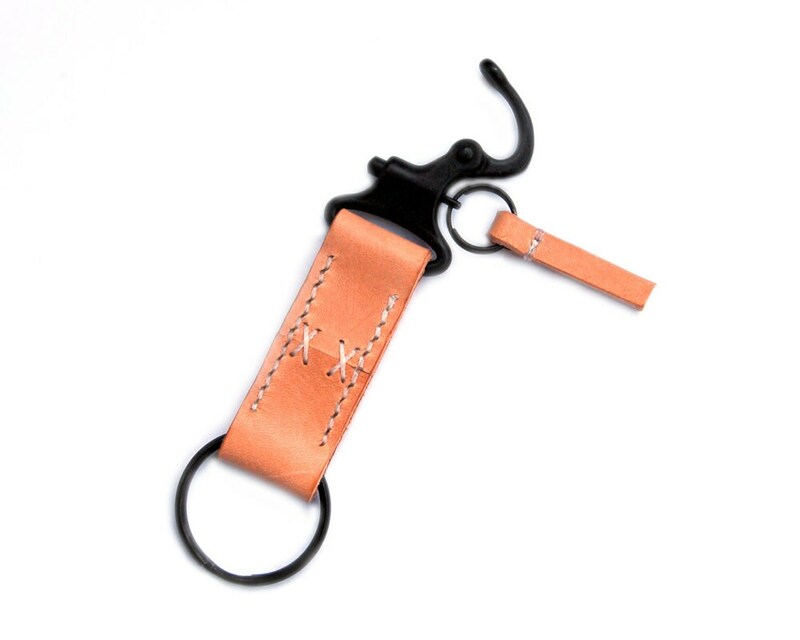 Great craftsmanship and style, and the snap shackle keeps everything safe and in place. Excellent, I ordered custom lettering and the product is beyond my expectations. Thank you!